Proof TV show on TNT - canceled or renewed? 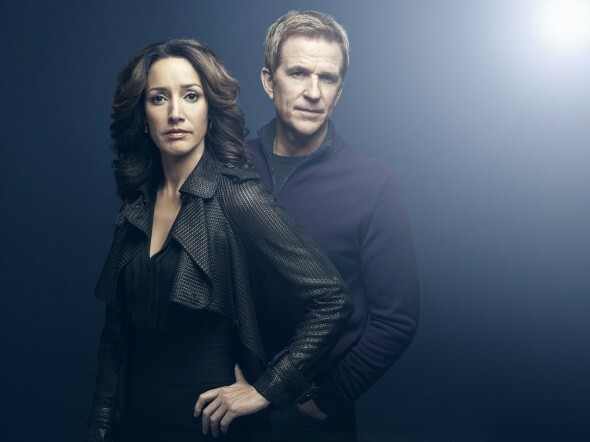 Performers include: Jennifer Beals, Matthew Modine, David Sutcliffe, Joe Morton, Edi Gathegi, Caroline Rose Kaplan, Callum Blue, and Annie Thurman. This dramatic series takes up the age-old question: Is death truly the end or, is there something else beyond? Doctor Carolyn “Cat” Tyler (Jennifer Beals) has gone through some devastating changes in her life lately. She’s lost her her teenage son, seen her marriage with fellow physician Len Barliss (David Sutcliffe) break up, and she’s become estranged from her teenage daughter Sophie (Annie Thurman). Cat is persuaded by cancer-stricken tech inventor and billionaire Ivan Turing (Matthew Modine) to investigate cases of reincarnation, near-death experiences, hauntings and other phenomena — all of it in the search for evidence that death is not the end. It’s both a journey of exploration and a deeply personal and emotional journey for Cat, who hopes to find answers in the wake of her son’s death. Other characters include hospital administrator Doctor Charles Russell (Joe Morton); Cat’s Sudanese intern Doctor Zedan “Zed” Badawi (Edi Gathegi); Ivan’s assistant, Janel Ramsey (Caroline Rose Kaplan); and best-selling author Peter Van Owen (Callum Blue) who claims to be psychic. Carolyn makes a devastating choice as her proof investigations, personal life and professional life all come to a dangerous head. First aired: August 18, 2015. What do you think? Do you like the Proof TV show? Do you think it should have been cancelled or renewed for a second season? Proof: Cancel or Keep the TNT Drama? I loved the show!! Hope one day the network will bring it back, maybe in a different time slot. A topic that so many people wonder about..I guess it’s all about ratings not content..what a same..but I guess it’s humanities fault..violence, fame, dog eat dog that gets the ratings..couldn’t you return it at a later time,when most people are sleeping for those of us who loved the show…or maybe at a popular time,early in the evening..for those who didn’t get a chance to watch it. Why!!! Don’t you want to no? This is another example of the mainstream tv networks NOT knowing good television and what makes people think. Please netflex be smart. This was a fantastic story. Maybe another network will pick it up. Bring it back! Bring it back! Bring it back! Bring it back! Bring it back! Bring it back! This show keeps us constantly interested by tickling our fancy for the paranormal and other such unknowns. It brings science and philosophy together to explore questions that, wether we realise it or not, we all want answers to. I found this show to be oddly comforting. It’s such a shame that shows of low moral values continue to get cult followings and renewed and yet shows that give you a respite from the world, that offer a little bit of hope – no matter how far fetched – are not given consideration to be lasting entertainment. Too bad…. Everyone should have the choice of being entertained in a light manner and to feel good for a while or to choose not to. Loved this show! The good shows always get cancelled!